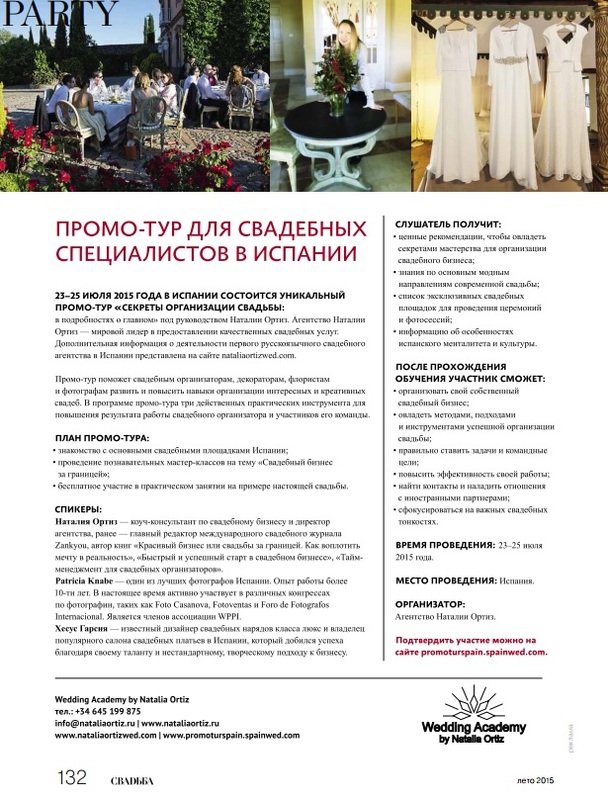 В небольшом фрагменте нашей недавней прессы упоминается. 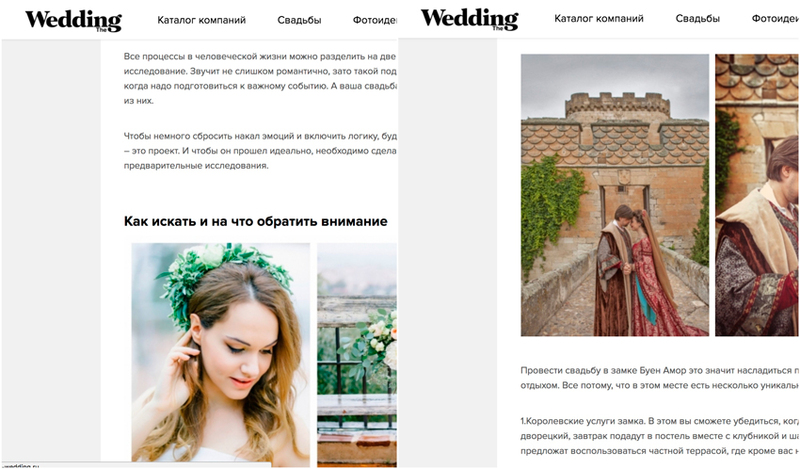 Наша работа в фантастической свадьбе Анастасии и Ричарда в Валенсии, в которой апельсины использовались как декорации, была опубликована в престижном журнале Telva. 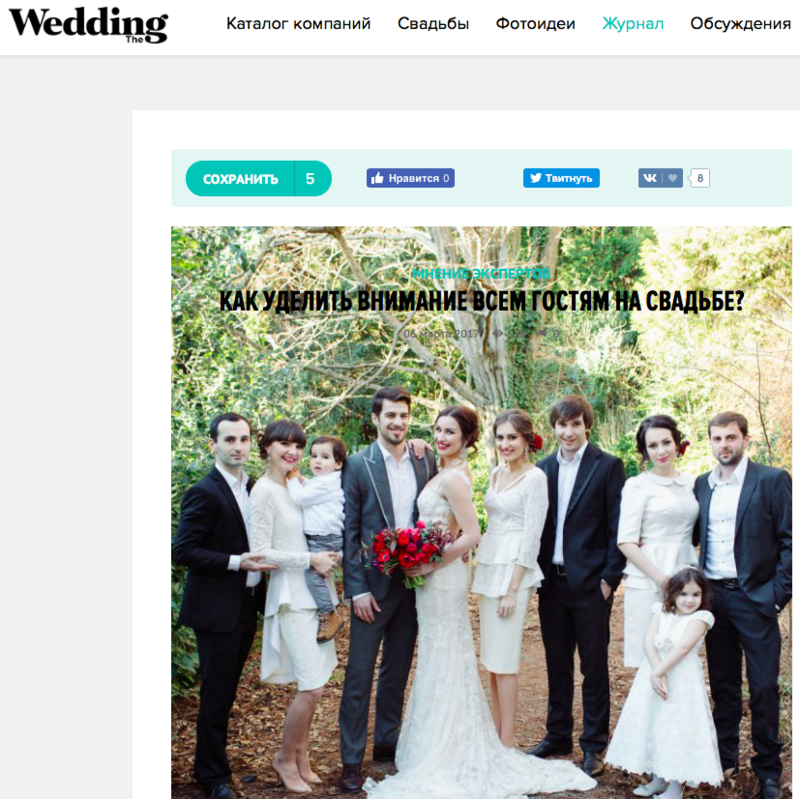 Блог Strictly Weddings опубликовал статью о свадьбе, которую мы организовали в Барселоне, с морскими украшениеми. 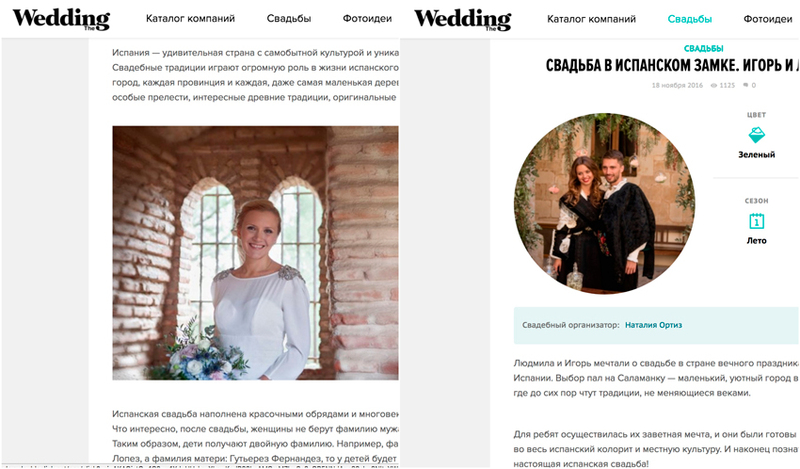 Эта же работа по организации морской свадьбы в Барселоне появилась в блоге «Планы и подарки». 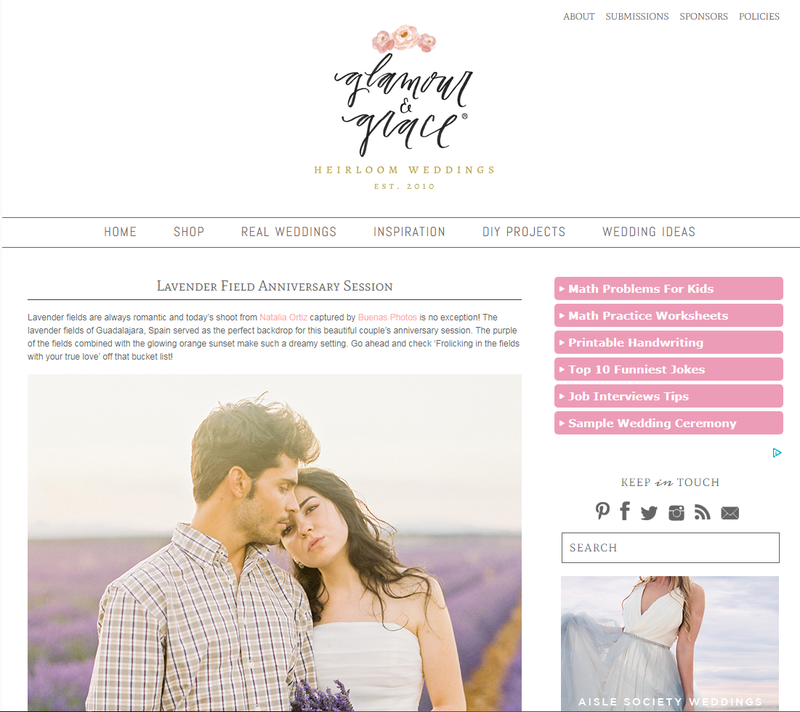 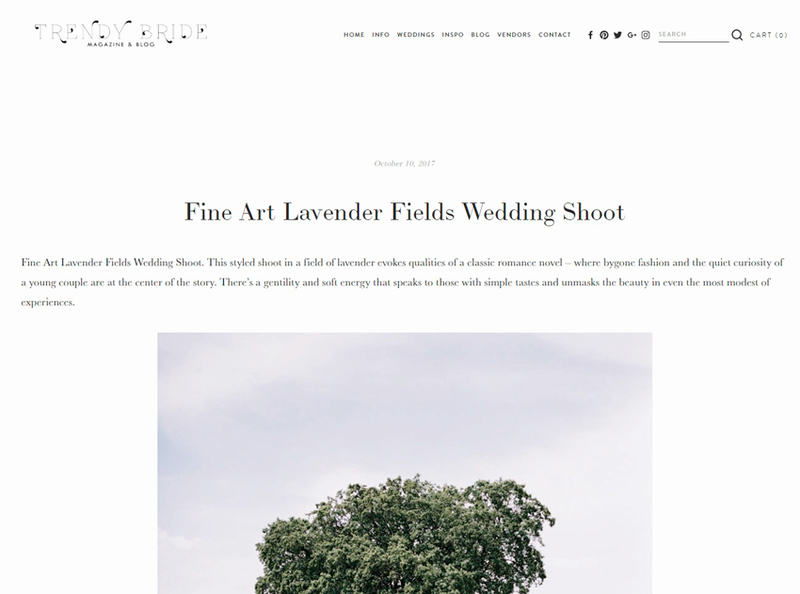 The beautiful photoshoot we did in this spectacular lavender field with a very romantic country style couple has been published in Trendy Bride. 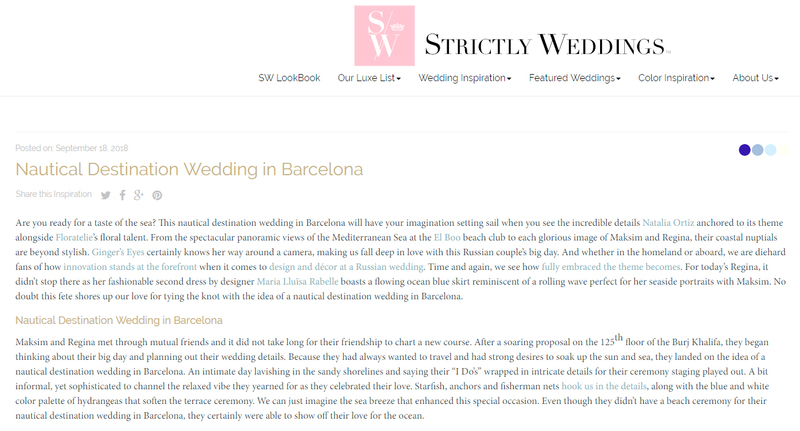 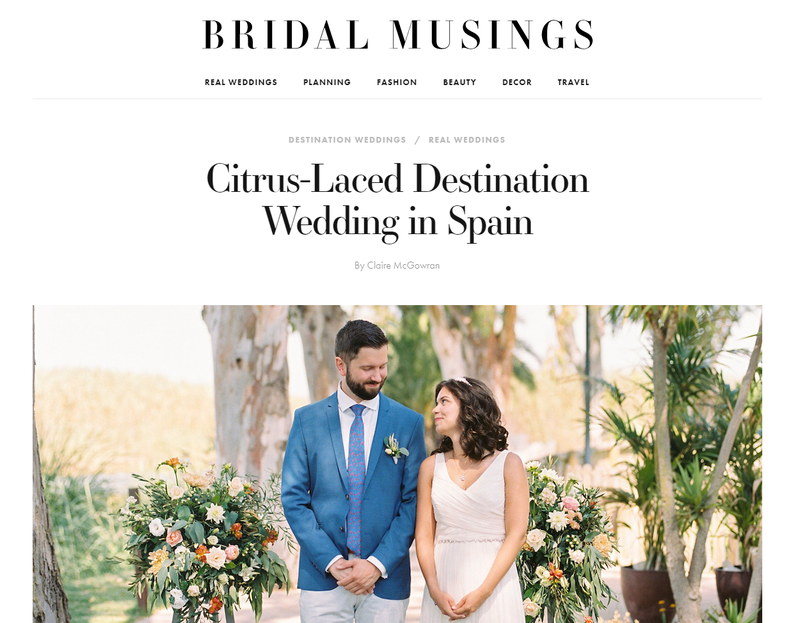 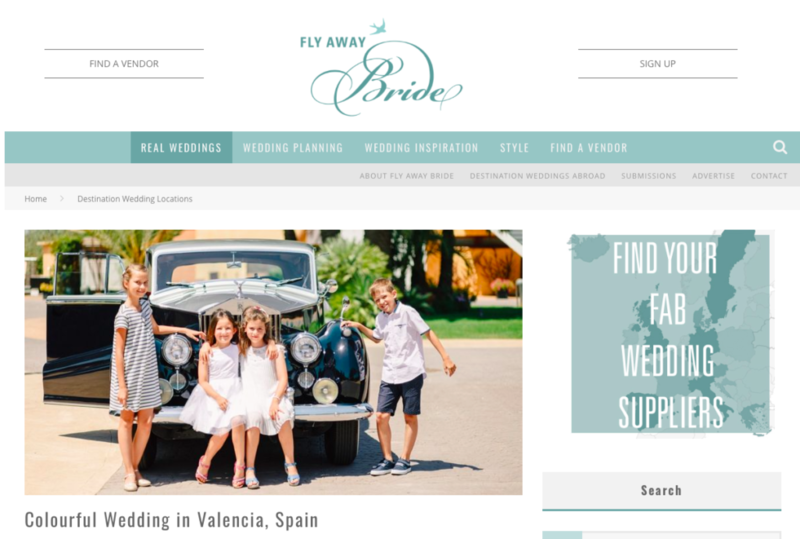 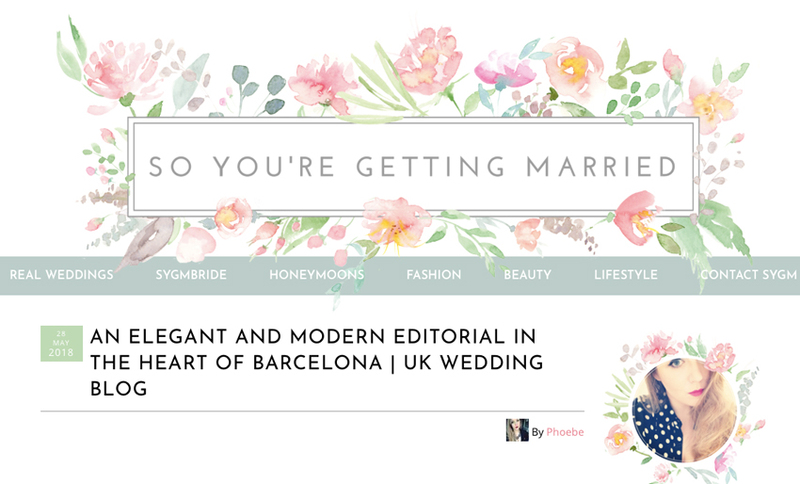 Our editorial in the amazing venue Casa de la Seda, in the heart of Barcelona, has been published on the UK blog So you’re getting married. 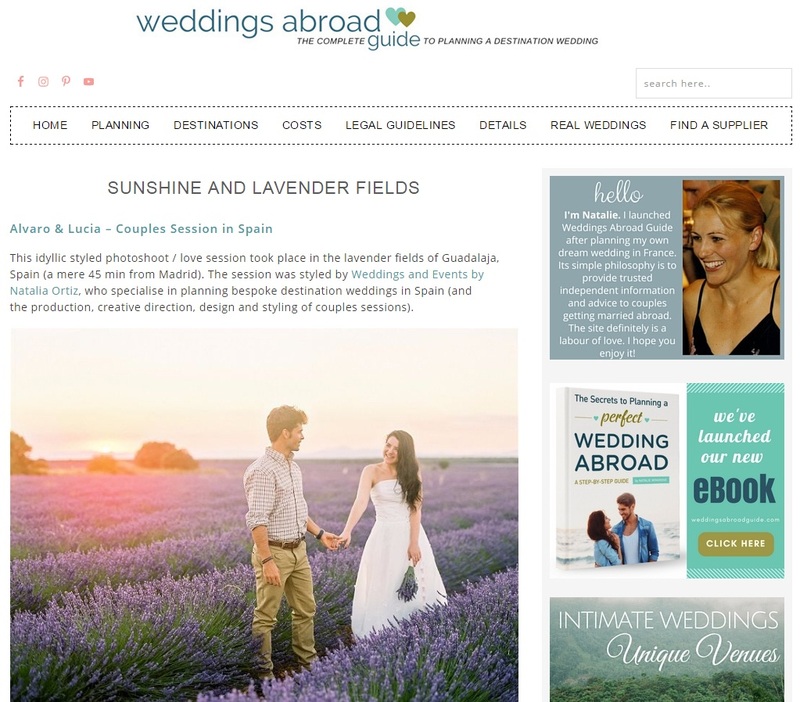 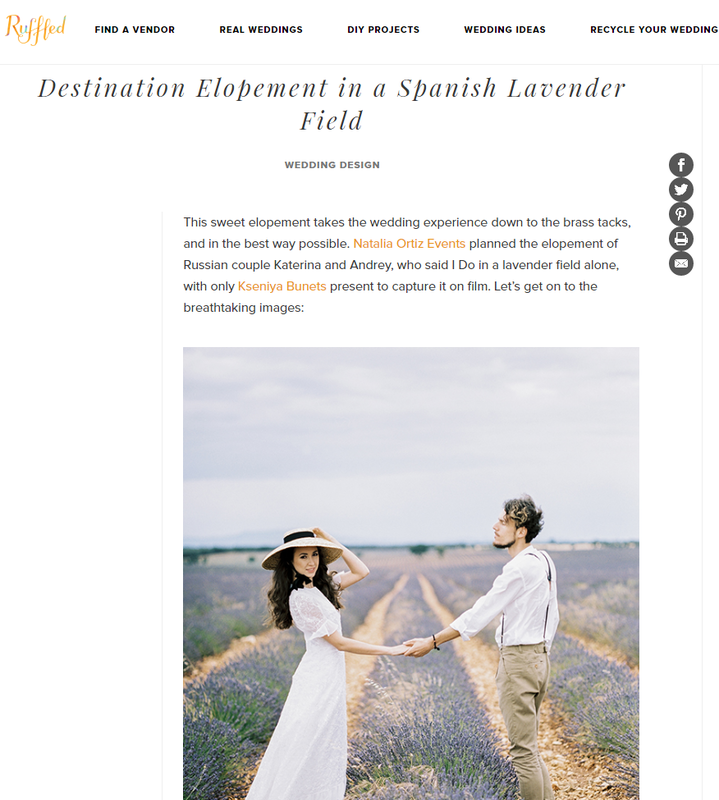 Our spectacular wedding in a lavender field that we organized in Guadalajara, Spain, appeared in the prestigious blog Ruffled. 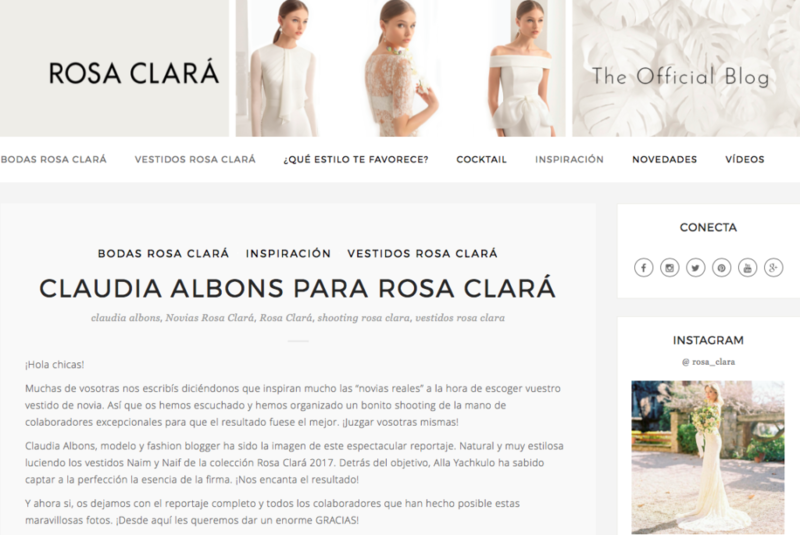 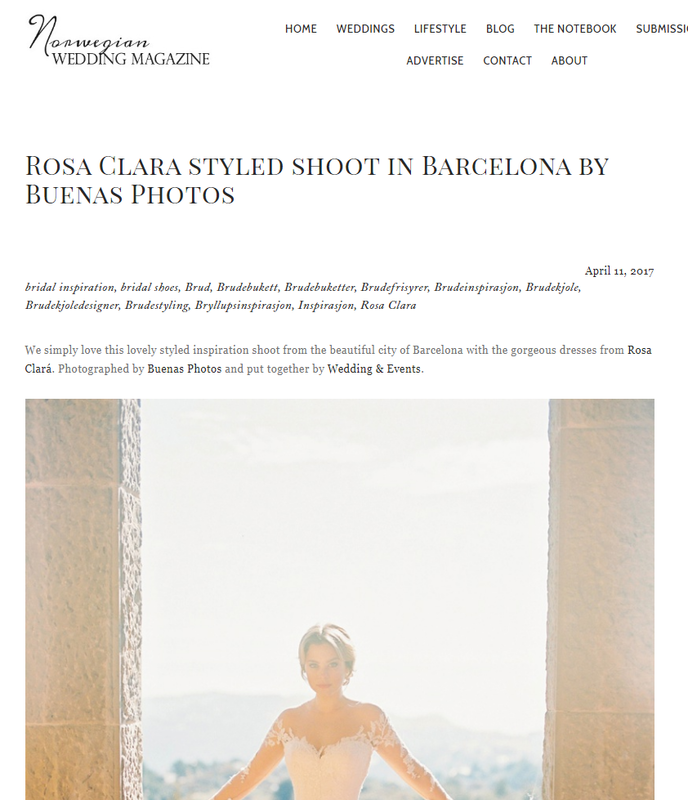 Norwegian Wedding Magazine wrote about the project we did in Barcelona with gowns by Rosa Clará and photographed by Buenas Photos. 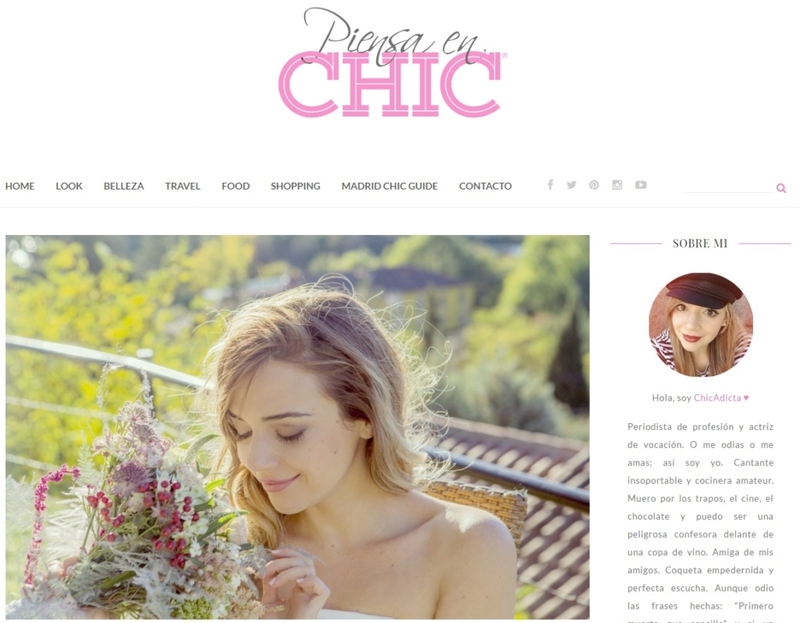 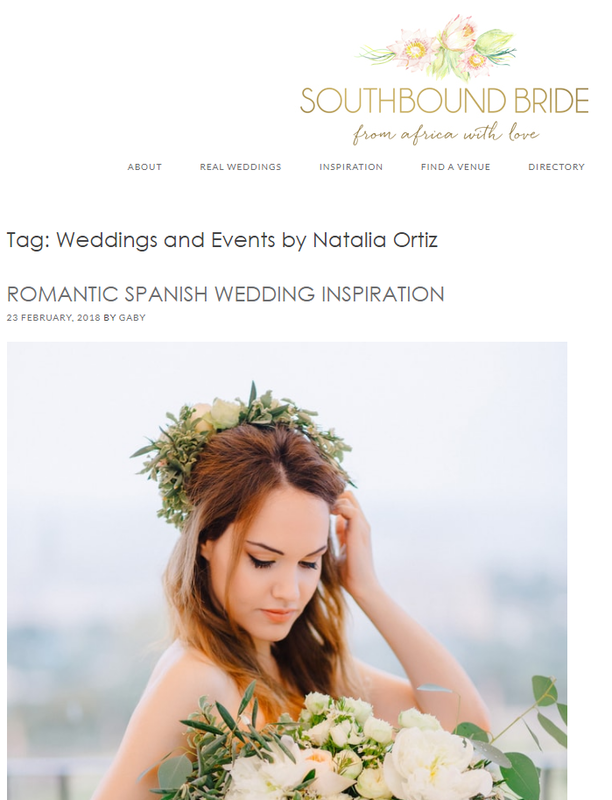 Natalia Ortiz coordinated a very nice project in Toledo with the photographer Alla Yachkulo of Buenas Photos, in which we achieved an incredible harmony of the bride with nature. 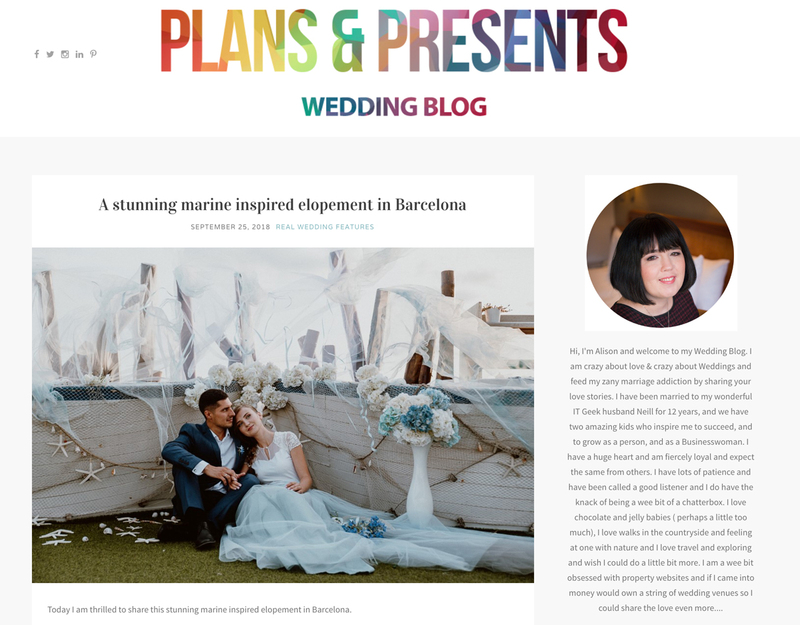 It was published on the UK wedding blog Plans and Presents. 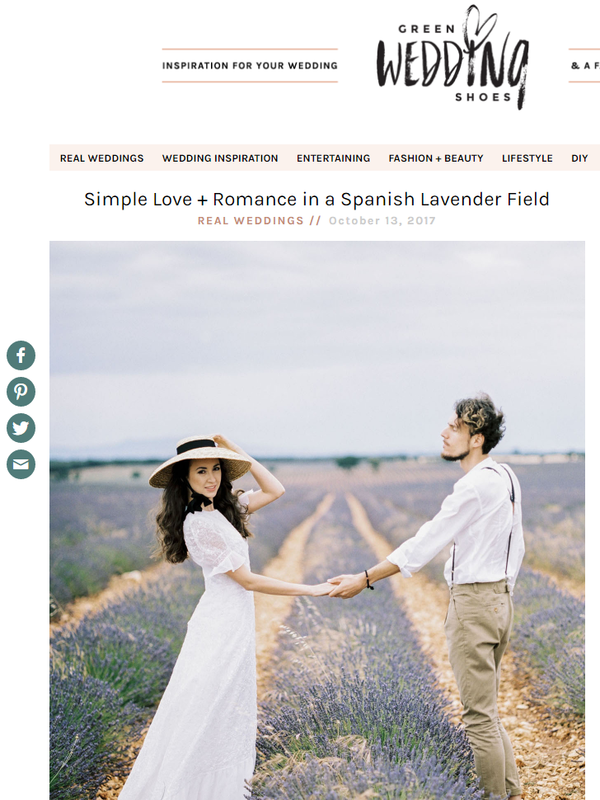 These romantic images belong to the wedding in a lavender field that we organized, and today you can see them in Glamor and Grace blog. 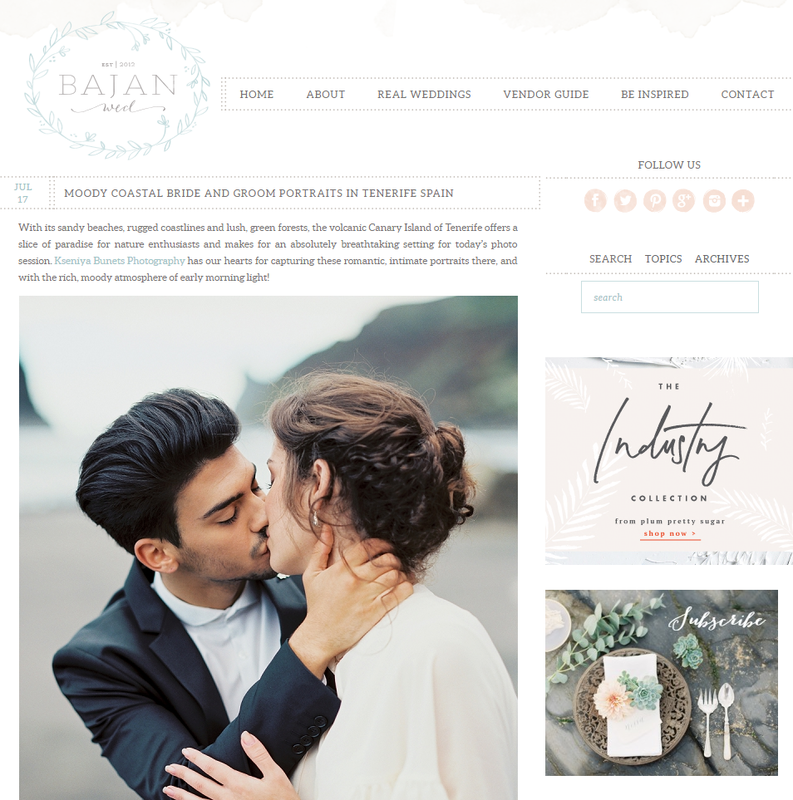 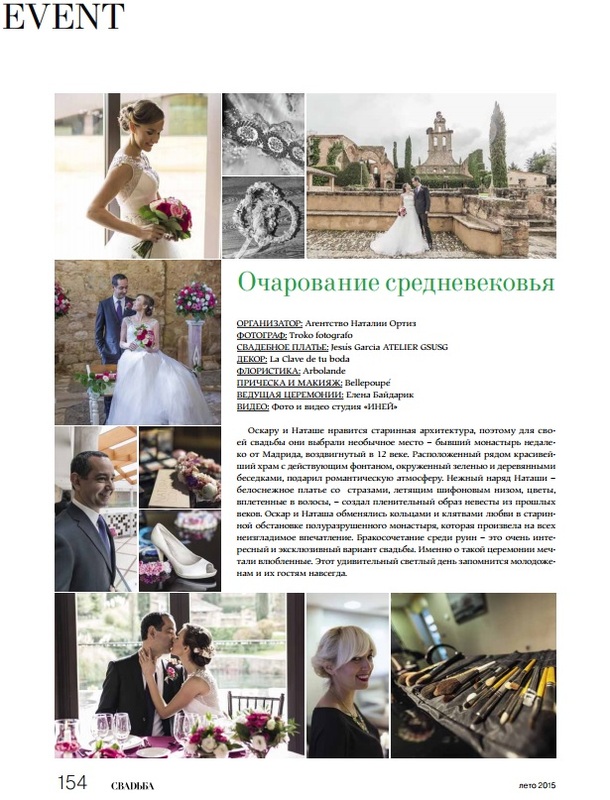 Our weddings are known around the world through regular publications in the best international wedding magazines and blogs. 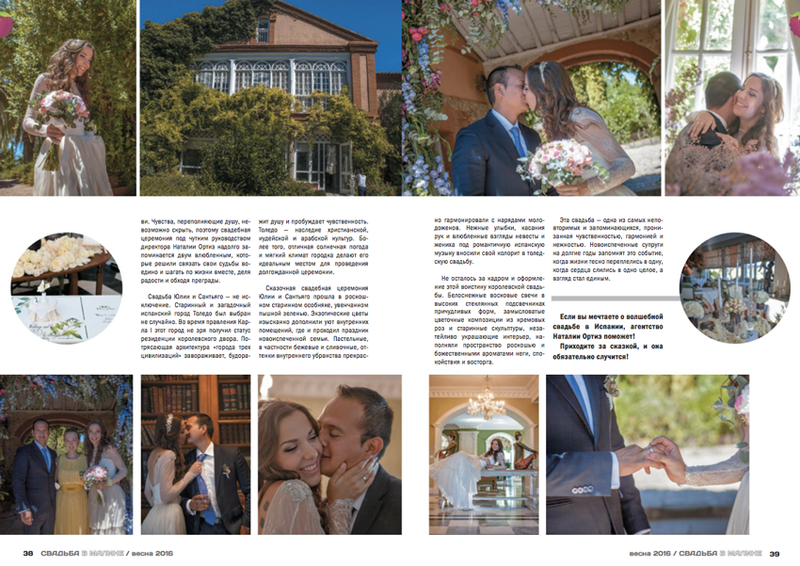 The destination wedding of Santiago and Yulia in the Relais & Chateaux Valdepalacios hotel has been published in the prestigious Russian magazine Свадьба в Малине. 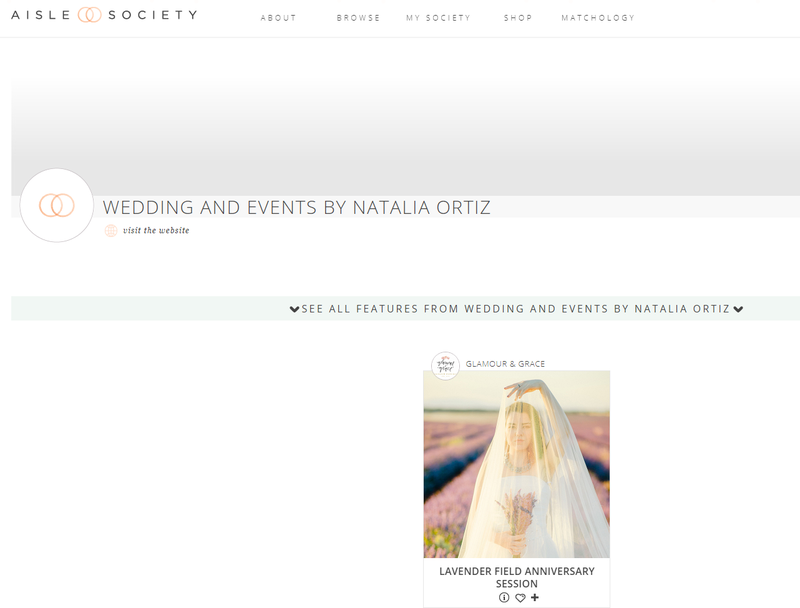 Recently Natalia Ortiz was asked to take part in a Q&A with Wed magazine. 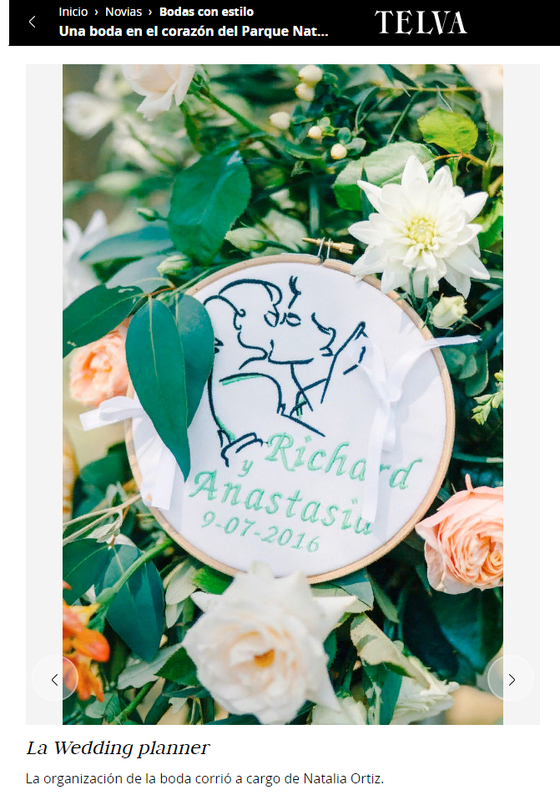 With wedding planning, there are so many possible questions! 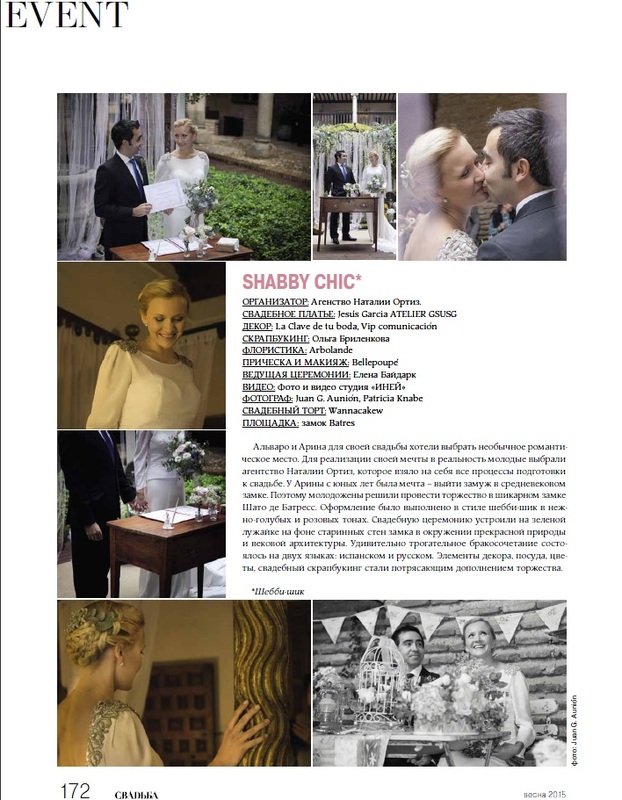 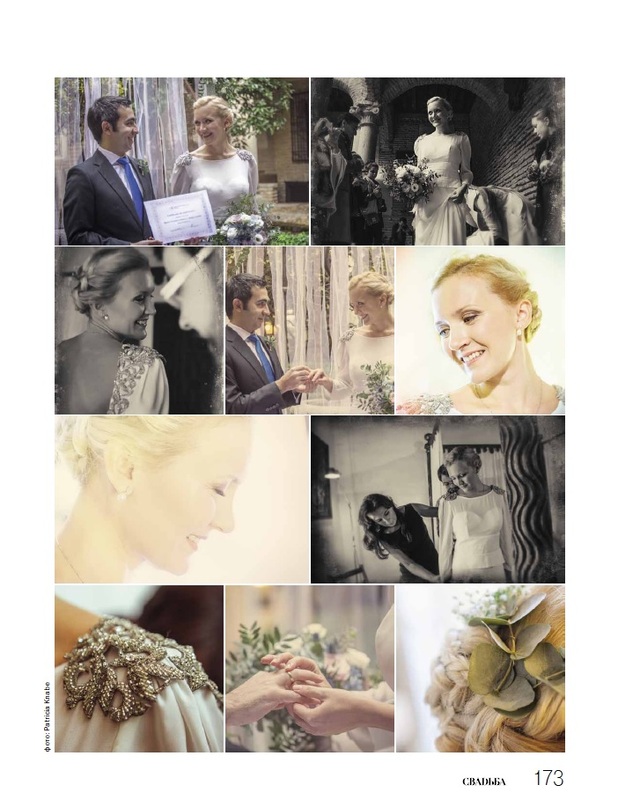 We were recently lucky enough to have this beautiful styled wedding featured in Spanish wedding magazine Novias. 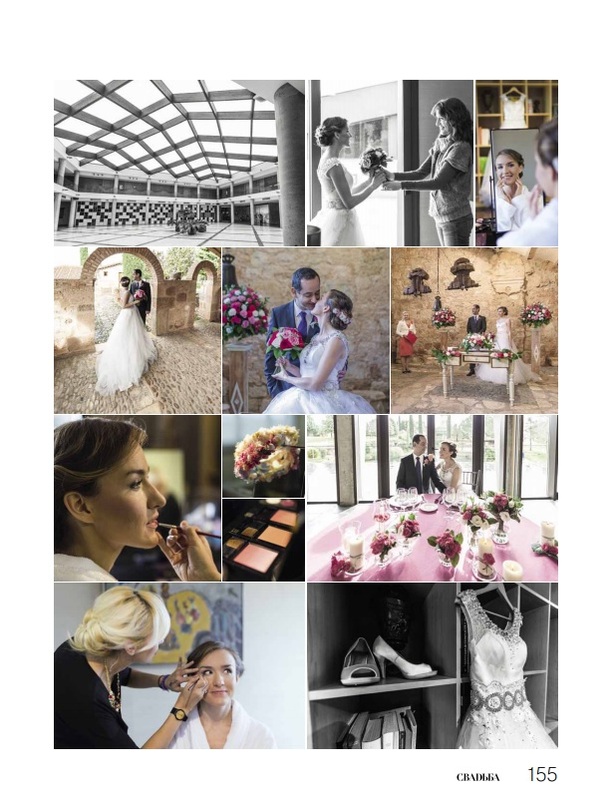 On the blog you can see the romantic project that we organized with the model Claudia Albons at the amazing country house La Boronia. 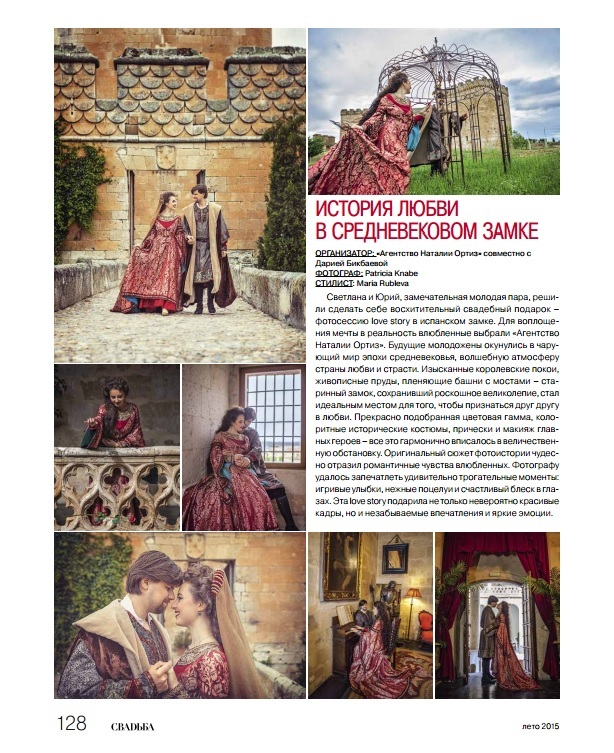 Behind the camera always surprising us: Alla Yachkulo. 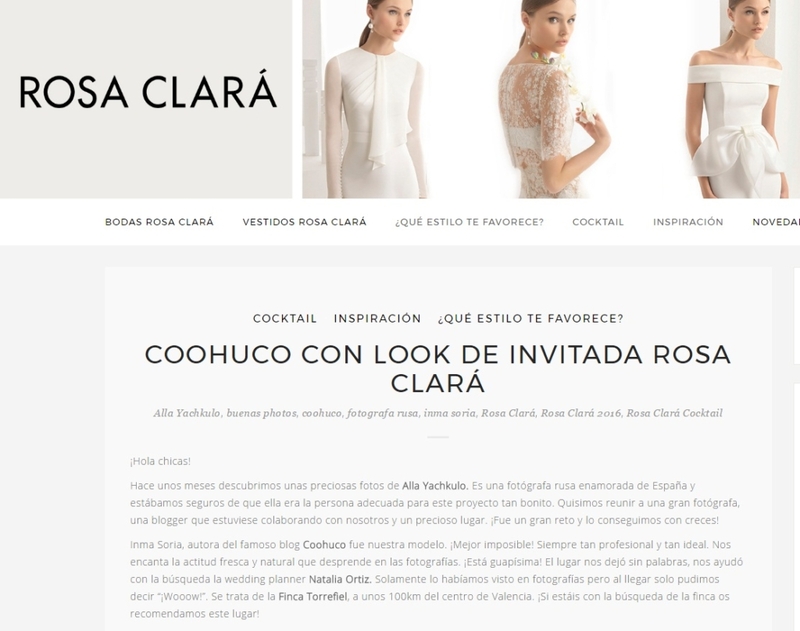 And also the work we organized in the Torrefiel estate with the model Inma Soria, author of the blog Coohuco. 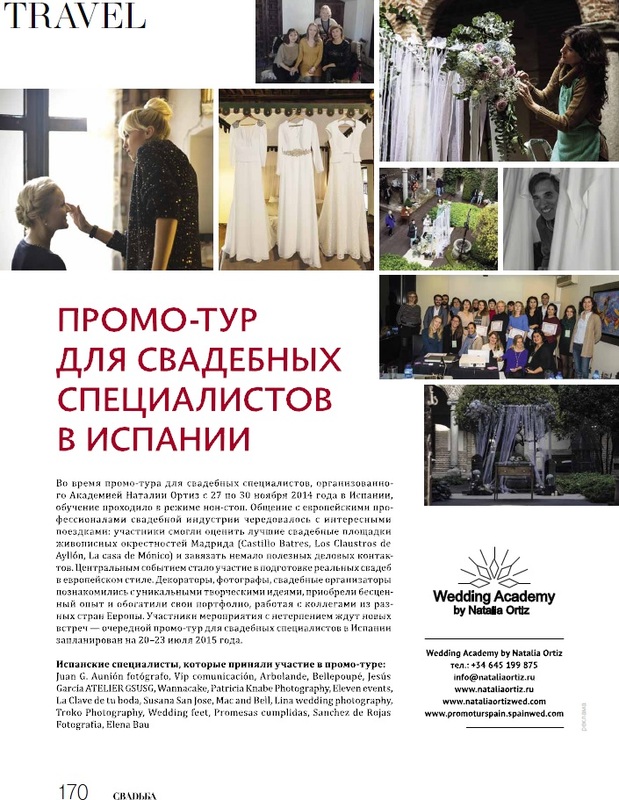 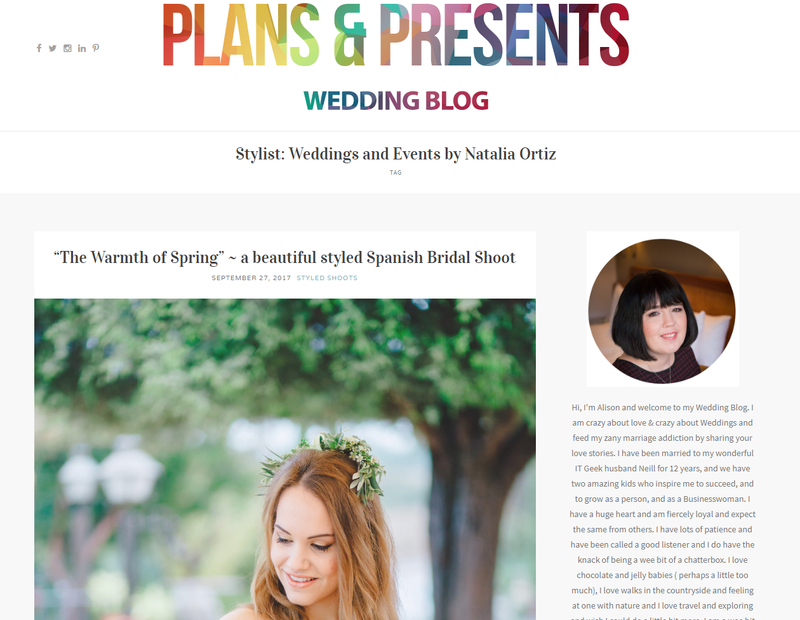 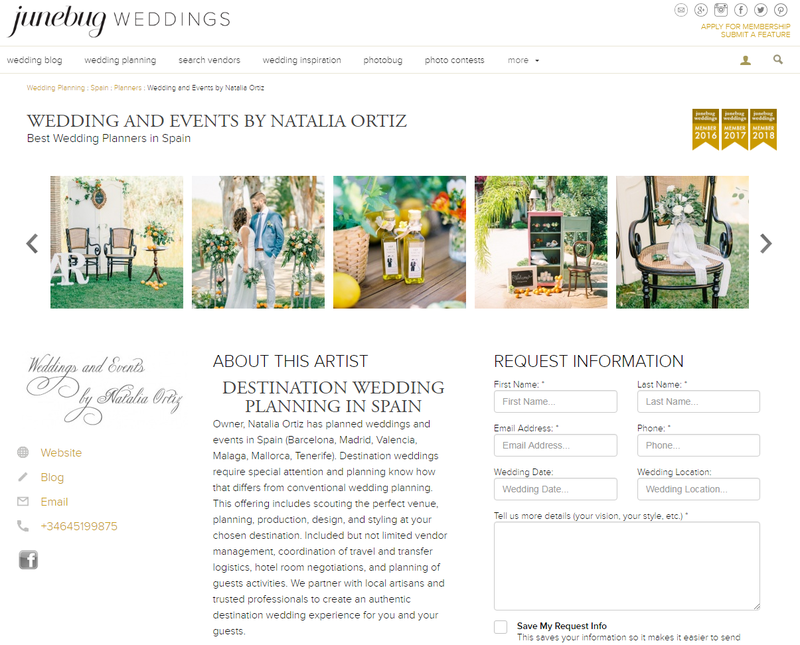 Weddings and Events by Natalia Ortiz – one of the first Russian agencies in Spain who offered to customers from Russia and the SNG countries, organize unique and personalized weddings. 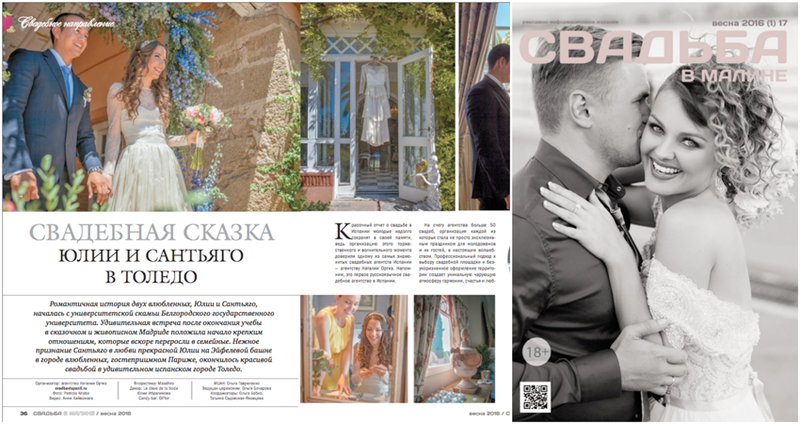 We are constantly working with glossy magazines, TV and online media. 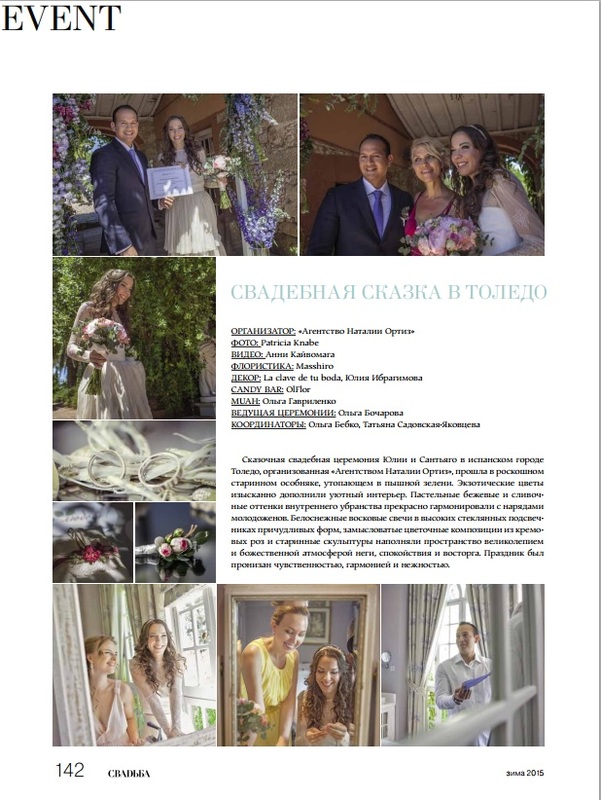 The best work this season: summer wedding, organized for a special television program “Friday”. 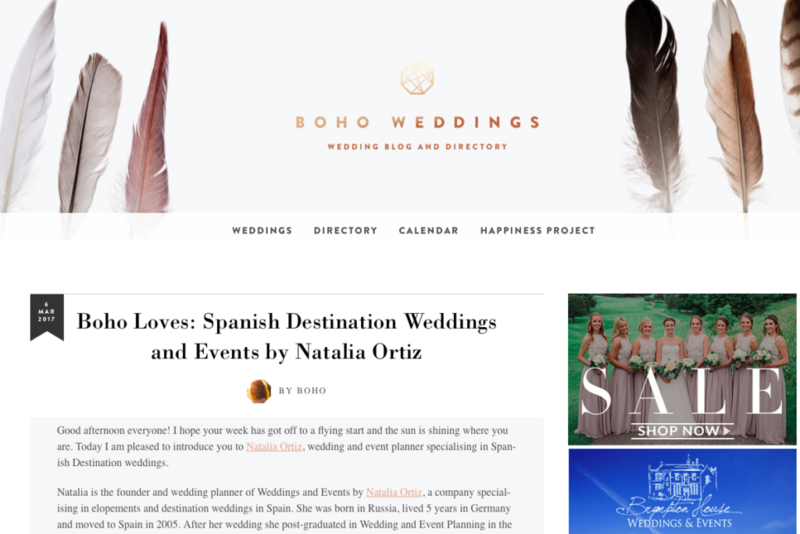 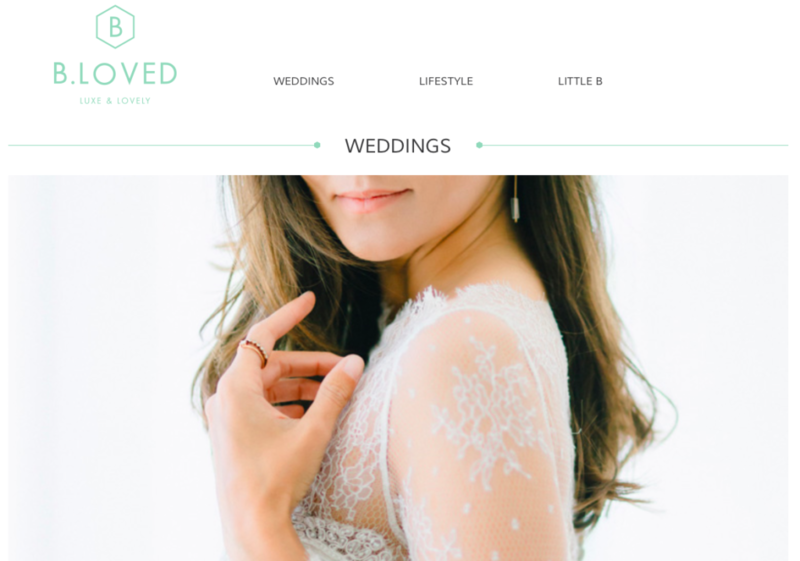 Weddings and Events by Natalia Ortiz attracts international media attention and Natalia is a sought-after wedding expert frequently consulted by the broadcast and print media. 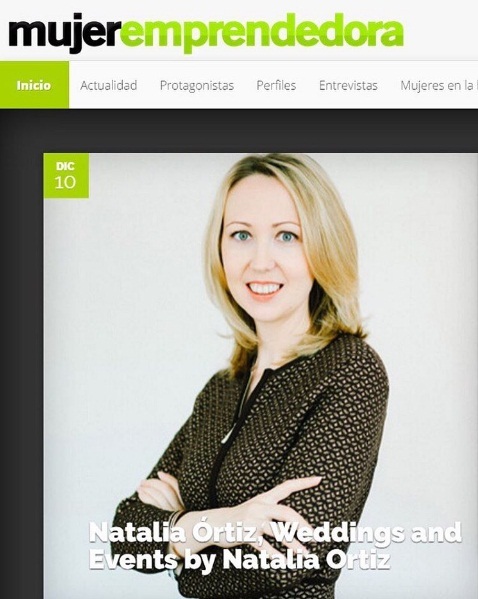 Below is a small selection of recent press coverage about our company, our events and Natalia Ortiz.